Nowadays, we’re finding ourselves being told more and more often that we need to drink more water. With the suggested number being eight 8-ounce glasses, it can seem like our bodies need an incredible amount of water to operate effectively – and it does. In fact, water – or lack thereof – can have a drastic effect on our health. Here, we’re exploring just how it helps our bodies. Whether you’re hoping for longer, more luscious locks, are in the throes of the FUE hair transplant recovery process or you’re simply looking to improve the health of your hair, you may be surprised to know that water could be the answer to improving the quality of your hair. Water makes up 25% of each strand of our hair, so drinking enough water every day can help to strengthen each piece, reducing the occurrence of split ends and dandruff on your scalp. It offers enough hydration for your skin, hair follicles and hair to ensure that hair remains strong and flexible and continues to grow healthily. Our bodies are made up of hundreds of parts, each working together to help us move, think, speak and more but these parts sometimes need protecting – water can offer precisely that. Water keeps the tissues inside our body moist, whether that’s our lips, tongue and more, or internal features like our blood, bones and brain. By keeping these hydrated, we can protect them from damage by producing natural ‘lubricant’. It can also protect your joints and spinal cords by ensuring your muscles and tissue are kept ‘cushiony’ and lubricated. Our digestive systems require a lot of water to break down and process the food we eat and drinks we ingest. It all begins with the saliva in our mouths; when we’re dehydrated, our mouths can’t produce the saliva needed to break down the food we’re eating, meaning we won’t be getting the nutrients, minerals and vitamins needed to keep healthy. Fibre is one of the most difficult things to digest and requires a lot of water in which to do so but after it has been dissolved and taken in, I can benefit your bowel and complete the process. 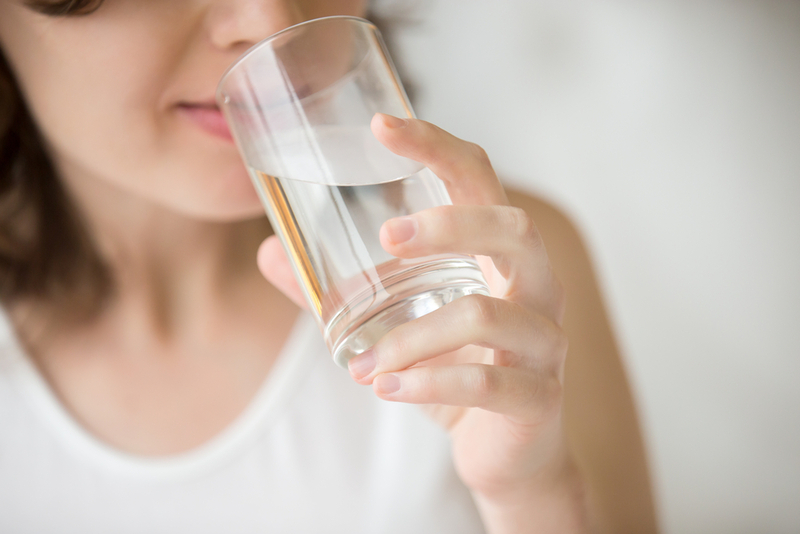 By drinking enough water each day, we can prevent these symptoms and ensure that our bodies are in top shape, enough to fight off any of the aforementioned conditions. If you’ve been experiencing any of the above symptoms, try drinking some more water. If this isn’t helping, take a visit to your doctor. Making sure you get enough water each and every day can help your body to keep on top of everything from strength, healing and the immune system, to hair growth, hydration and muscle maintenance. Without enough water, we can become dehydrated and put our bodies at risk of a number of different problems – are you drinking enough water?